Thanks CRA, inflation can be a good thing. Recently, our Canada Revenue Agency announced the 2019 inflation factor to be running just north of 2%, which is the used to increase the federal tax brackets from 2018 to 2019 and most federal credits. Combined with prior years’ inflation, that tiny 2% inflation rate was enough to push CRA’s Tax Free Savings Account (TFSA) dollar limit for 2019 to the next $500 interval – which is $6,000 contribution room for 2019. That’s excellent news for every adult Canadian. Here’s why the new $6,000 TFSA limit for 2019 is totally worth it. After tax contribution dollars can become tax free – for good! While you contribute to a TFSA with after-tax dollars, once money is contributed, all income and growth/gains earned inside the account can occur tax-free! A tax-deferral plan. A tax-free plan. Contributions can be made with before-tax dollars as part of an employer-sponsored plan or “after-tax” dollars when a contribution is made with a financial institution. Contributions are made with after-tax dollars. Contributions are tax deductible; you will get a refund roughly equal to the amount of multiplying your contribution by your tax rate. Contributions are not tax deductible; there is no refund to be had. If you make a withdrawal, contribution room is lost. If you make a withdrawal, amounts withdrawn create an equal amount of contribution room you can re-contribute the following year. Because contributions weren’t taxed when they were made (you got a refund), contributions and investment earnings inside the plan are taxable upon withdrawal. They are treated as income and taxed at your current tax rate. Because contributions were taxed (there was no refund), contributions and investing earnings inside the account are tax exempt upon withdrawal. Since withdrawals are treated as income, withdrawals could reduce retirement government benefits. Withdrawals are not considered taxable income. So, government income-tested benefits and tax credits such as the GST Credit, Old Age Security (OAS) and the Guaranteed Income Supplement (GIS) aren’t affected by withdrawals. You can’t contribute to an RRSP after age of 71. Accounts must be collapsed in the 71st year. You can contribute to a TFSA after age of 71. The Summary: part of your RRSP is borrowed money. The Summary: all of your TFSA is your money. While contributing to the RRSP makes the most sense when your marginal tax rate at the time of contribution is greater than your marginal tax rate at the time of withdrawal – you have no such concerns with the TFSA. As soon as you’re 18 years of age or older, you can have a TFSA. There is no age maximum for this account – you can own one (or many TFSA accounts) as long as you live. Upon death, the entire fair market value of your TFSA can be received by your estate tax-free. Naming a successor holder or beneficiary for your TFSA, the assets can flow directly to the named successor holder or beneficiary without going through the estate; saving probate fees or estate administration taxes. My guide on how to manage beneficiaries TFSAs, RRSPs, RRIFs and other key investment accounts here. It’s true – but be careful! Amounts withdrawn from your TFSA can be recontributed, beginning the following calendar year, without using up TFSA contribution room. Let’s again assume Mark’s TFSA value is approaching $85,000 because he invested in Canadian dividend paying stocks and didn’t attempt to sabotage his portfolio. If Mark wanted to take, the entire $85,000 out now to buy a new fancy car for an early Christmas gift (he wouldn’t dare) then Mark could contribute $91,000 at the beginning of 2019 – that includes the new $6,000 limit. It has been said that diversification is the only free lunch that comes with investing – you can take on less investment risk at no loss of investment return through diversification. Here’s how you can diversify your portfolio using low-cost ETFs for your TFSA. Did I mention it was tax-free?! The TFSA can be used for far more than holding cash. Don’t be fooled by the word “savings” in the TFSA name. These are great things you can do with your TFSA here. The new $6,000 TFSA annual contribution limit is the latest gift in the CRA package that keeps on giving. I suggest you take advantage of it for all the reasons above and many more. What do I intend to invest in – inside my TFSA for 2019? Stay tuned to find out. I’ll have a few posts about that in the coming weeks and months. 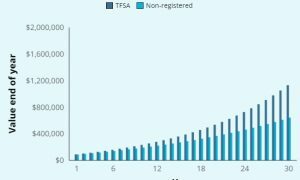 What are you going to do with the increased TFSA limit for 2019? Do tell in a comment below. 34 Responses to "Here’s why the new $6,000 TFSA limit for 2019 is totally worth it"
First, I change my mind frequently but so far my plan is to redeem the Canadian Index e-series in both accounts ($491 & $1305). I used this to park orphan cash over a couple of years ago. I haven’t used these in the past year or so as I’ve been using the Dow and Euro e-series lately. I’ll add this to the existing (since October) orphaned cash ($552 & $1093) and the 2019 contributions. As for what to do, I’m currently leaning to adding to some orphaned MFC (7 shares) in my account and adding to BNS in DW’s account. Will see what prices are in the new year. This will likely be the only two billable transactions in all the accounts for 2019 as I’m not planning any other major changes. I’ll still re-invest the orphan cash (in the Dow or Euro e-series) as it rises over $100 in any account up until October. I keep a bit of cash inside my TFSA but not very much, really just leftover from when dividends are paid. I might buy more utilities in 2019 for my TFSA for potentially some GSK:US. PE is rather high though but the yield is 4.5%. I’m bullish on pharma stocks long-term. I have a post coming up about British ADRs. I may or may not go in that direction. You will pay tax on US dividend in your TFSA as the US does not see TFSA like RRSP. Just double check it. My 0.02 cents. My plan is to buy more Canadian equity in my RRSP with funds recently converted from USD using Norberts Gambit. To maintain a good level of withdrawals from my registered acct for tax smoothing I will transfer these stocks in kind to unregistered and then to both of our TFSAs. I also currently have some other stock (and more bid) to transfer in kind from registered to unregistered before year end. This was my busiest year with our accounts I can recall – just checked and had 28 billable transactions to date. Normally 5-10. Can’t forecast ahead for 2019 but I’m guessing it will still be active but less so. Sounds like you’ve been moving lots of assets around to right-size things. Not sure what I am going to invest in yet. I just know I will be contributing the max to it! Lots of reasons- right sizing, seizing opportunities, taxes, preparing for storm ahead etc. Ditto on the max and not positive on investments either- but possibly more RY & TD. Shame about the RedBlacks. Mistakes, and missed opportunities got them. Ugh, just too many mistakes. They have a great team and hopefully they can re-sign everyone to be back in 2019. I’m leaning on some TD for my wife’s TFSA in 2019. Maybe a utility stock and maybe some British ADRs in the healthcare sector. Post coming in a day or so about the ADRs. Watching numerous things now so hard to say just what it will be. Earnings reports coming soon for financials so also hard to say how it will affect prices. I’m guessing reports will be good but will they be good enough or better? Yep, always next yr for your team. Bank earnings start tomorrow right? I think analysts had been reducing expectations with increased competition on hisa’s,gics etc. I have a fully funded TFSA. Partly my emergency fund. $26,000+ is in a GIC with my credit union so I know I can get it pretty fast if needed and as you mentioned repay it. So a little less than 50% is emergency fund and about 20% each in iShares Core MSCI Global Quality Dividend Index ETF (XDG) and BMO S&P 500 ETF (ZSP) both set to DRIP. My 2018 contribution went to buy CN Rail, so 53 shares. Unfortunately not enough to reinvest at dividend time so it ends up in my cash TFSA. Likewise with any leftover from XDG and ZSP. I’ve been using those cash funds to buy more ZSP cause it doesn’t cost me a fee to buy ETF. I’ll have $6000 ready to go to contribute in 2019 because I’ve been putting $500 aside every month in an HISA. My plan always was to use the $6000 to buy more CNR to bring that amount closer to my ETF amounts which probably means I can buy another 52 or 53 shares which I can see is still not enough to DRP and reinvest. Is that a wrong decision? 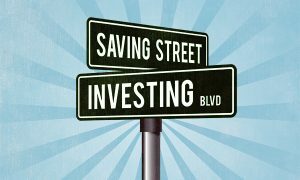 Should I use the $6000 to buy more ZSP knowing that dividends reinvest themselves? I’m done buying more XDG. I’m just set and forget on that one. Smart stuff with the ZSP – a cheap, low-cost, diversified S&P 500 fund. That fund has performed very well over the last few years (5 years) even though it is hedged in CDN vs. USD $$$. I can’t say what is a right or wrong decision for you but I know it’s hard to go wrong with a few CDN blue-chips and some low-cost U.S. indexed ETFs for extra diversification across the portfolio. Things you can set and forget that are diversified for you is likely a strong choice. Great article Mark! My 6K is going into BNS. 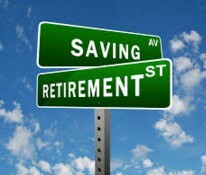 Great post Mark, TFSA should be a staple for Canadians who even have modest income. Most can find a few bucks here and there. It can be our Tax Free Saving or Tax Free Investing Account. Or both. Unfortunately my TFSA is going the other way, cutting your employment income to zero will do that for you. Ha. Hopefully I can get back to the point where I can replenish that TFSA in the future. Great to hear from you Dale. I actually prefer to call the TFSA = TFRA. It should ideally be Canadians’ #1 retirement account. I agree. As I wrote in a Tangerine blog post (hopefully it does get published soon), it can be a great strategy to make a meaningful contribution to RRSP and use any tax return monies to fund the TFSA. We might start out with a 30% return with that tax break then move on with greater future gains. Compounding on top of compounding. Absolutely Dale. There are so many great options with your TFSA. I’m looking forward to our $12K contributions on January 2. Now considering what dividend paying stocks to buy with the money. I am retired now so the non-registered accounts are being whittled down slowly. A bit short of cash for the year end so I have the option of selling some shares or utilizing some cash that has built up in the TFSA. Will transfer in kind from another portfolio in 2019 to replace the money withdrawn plus the additional $6K. So this defers any increased income for 2018 as well as it will reduce income in 2019 because of the transferred stock and therefore lesser dividends. It also saves the transaction fees of selling stocks as there is no cost (with CIBC) to do a transfer in kind. If at all possible it is preferable to withdraw any monies from your TFSA right at the end of the year rather than earlier in the year. That way you can replace the monies withdrawn right away in January of the following year. Are you doing this at the same time as drawing down your registered assets as well? Curious. Transferring shares in-kind from non-reg. to TFSA is something I have done in the past well. Not planning to do that for 2019 but maybe future contribution years. “If at all possible it is preferable to withdraw any monies from your TFSA right at the end of the year rather than earlier in the year. That way you can replace the monies withdrawn right away in January of the following year.” I would definitely agree with that. No, my RRSP’s are still sitting there waiting for me to turn 71 although I think I will have to do a partial convert to a RIF before 71. Most likely I will transfer some of the LIRA to the RRSP, up to 50%. After that I have to convert the remaining LIRA funds to a RIF or annuity in the year of the transfer and obviously pull the mandated (not 4%) percentage from the RIF for the year. Between the RRSP and LIRA I have gotten <$50K so far this year with a month left to go so it will be well over $50K for twelve months. Total dividends for the year will be some place slightly above or below $65K with the TFSA and non-registered portfolios added in. Until my retirement, all dividends were re-invested for that famous compounding effect. I had been running several RRSP's but consolidated two years ago. This enabled the dividends to accumulate in to one portfolio and thus enabled a faster purchase cycle of more stocks as the amount was obviously higher in one portfolio than in several. Dividends concentrated in to one portfolio lowered bank transaction fees as well as enabling larger stock purchases if concentrated in one stock. So I was able to purchase almost every month rather than once every three months when funds had accumulated to an amount warranting re-investment. I don't but in the tens, I buy in the hundreds of stocks to make the purchase worth while. Concentrating the portfolio made this achievable. 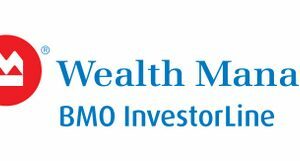 “Between the RRSP and LIRA I have gotten <$50K so far this year..." That's great income from your portfolio! I hope to be there someday. "Total dividends for the year will be some place slightly above or below $65K with the TFSA and non-registered portfolios added in." Wow, nice. By doing what you did Ricardo (i.e., "Until my retirement, all dividends were re-invested for that famous compounding effect....) I hope to have the same success as you. We're pretty much DRIPping everything we can in registered accounts now and I don't intend to stop until we realize our lofty $1 M investment goal. Then, I will re-assess. My math tells me we need ~ $5,000 net (after-taxes) per month, including travel expenses to live the way we want in retirement. $2K per month will cover condo fees, Ottawa property taxes and utility bills for life - we expect dividend increases and/or price appreciation to keep pace with inflation of 2-4% per year. $3K per month will pay for groceries,x1 car gas, insurance; entertainment (locally) and travel (internationally). You are smart to keep your transaction stocks associated with your purchases very low. Well done. 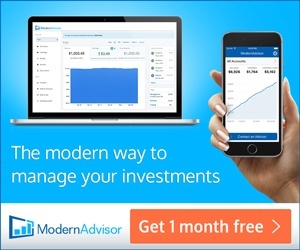 I try and buy our stocks ~ 3 months when we have at least $2K or more to invest. I drip my Gran daughter’s RESP simply because there are insufficient funds to make purchases, 2 shares per month, worthwhile – it would cost to much percentage wise in fees for what could be purchased. So the drip saves the transaction fee each month as well as allowing stocks to be purchased (dripped) at a lower value than market. I find that once you can get several thou per month in dividends it is better to purchase the stocks you want. As an example, BCE when it was around $62 was not worthwhile to purchase IMO. I waited till it was below $55 then jumped in. In between I purchased other stocks that suited me. I don’t time the market but I don’t buy when stocks are riding high. I can wait till the dip and then it has to be a big enough dip for me to jump in, So instead of dripping in at $62 I took the dividends and put them to work elsewhere. I like MOPO stocks as you get money every month to re-invest. That’s largely my thinking…once you have a few thousand to invest, per stock, might as well own the stock yourself. I’ve largely unbundled the ETF XIU over the years using exactly that strategy. Then, I own a few U.S. stocks and I’m slowly growing the U.S. side of my portfolio via low-cost ETFs. I feel the U.S. market is too difficult to fully unbundle. If the total cumulative contribution limit for 2019 will be $63,500 how would Mark be allowed to contribute more then that amount without getting taxed on the excess amount over $63,500? Even though Mark withdrew $85,000 from his TFSA in 2018 wouldn’t he only be allowed to contribute $63,500 in 2019 tax free since that’s what the total contribution limit is? and any excess amount he would get taxed on? I am very interested to hear some responses because if this is not the case can’t individuals create there own artificial TFSA room through gains in their account every year? Hi Fay. I’ve removed and replaced money from my TFSA and the rule is what you remove, you can replace the following calendar year. So if your contributions have grown, and you take out the full amount, you can put back that same full amount regardless what the contribution limit was. My question is why would you do this? In my case I wanted to purchase a house. There could be many reasons. Indeed, I did the same. There are many reasons. 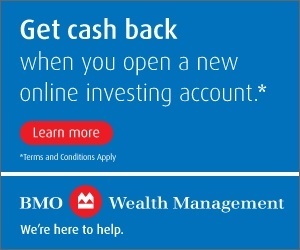 I was switching out some investments in my TFSA a few years ago, so used the money to buy an engagement ring and then replaced the money the following year in a different account. Great question. Recall the TFSA contribution room has nothing to do with the income or growth earned inside the account. They are two different things – which is great for investors!! So, money removed from the TFSA, via tax free gains earned inside the account, can serve as potential contribution room in the following year. Great right? My take is, I believe they want to discourage frequent trading in and out of the TFSA but ultimately once the assets are inside the TFSA then they can be bought and sold at will.